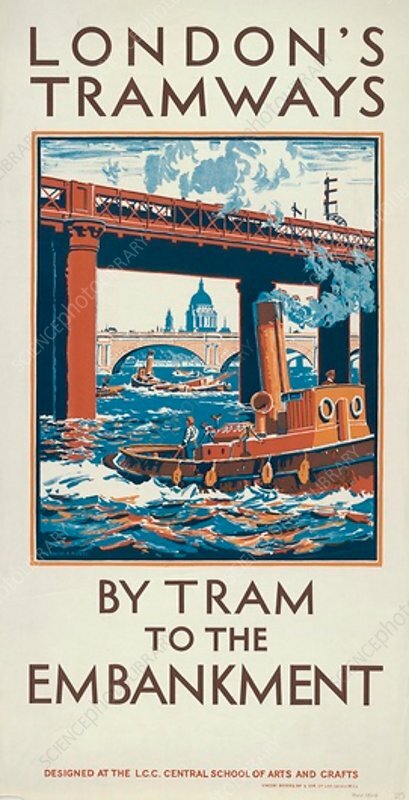 By Tram to the Embankment', London County Council (LCC) Tramways poster, 1924. Showing a tugboat on the Thames, with St Paul's Cathedral and bridges in the background. Designed at the LCC Central School of Arts and Crafts.